If it helps, almost unbelievably there is a famous studio engineer also called James Brown who has been working on some of the most seminal albums since the 1950’s accross almost every conceivable genre. You couldn’t make it up. His link also goes to his namesake the arguably more famous artist James Brown (not so sure after seeing his CV). So for example I have a James Brown credit for a a famous Fritz Reiner Verdi Requiem from the 1950’s. Hi, thanks for listening and replying. If I click the top result, which is the artist “James Brown” all I get is (727) James Brown compositions, not albums or even necessarily performances either. And I wanted albums where he is singing. But the Compositions results do behave nicely to the extent that they give me two tabs, one for My Library (1) and the other for Qobuz (726). The (1) in My Library is Labour Day, which is a track from the Black Eyed Peas Elephunk that came up in the albums results from my original search, and it turns out the James Brown is one of 12 composers listed for that track, so that explains (arguably) why roon found that album in My Library when I searched for James Brown. So, roon’s behaviour is still confusing. 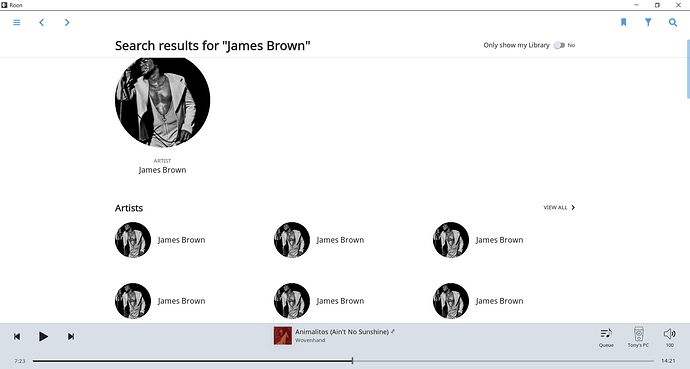 If search for James Brown, and then go into the artist I can’t see his albums. If I look at the albums, the first set roon presents me has no obvious connection with James Brown. Maybe the issue is the way sometimes Qobuz results are separated out and sometimes not, or that in this case I don’t have any James Brown in my own library. 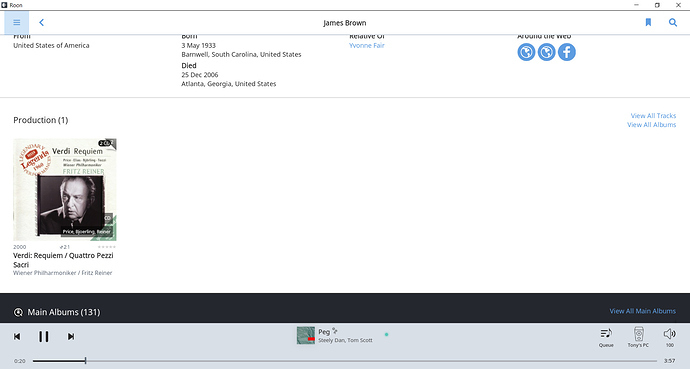 At the end of the day, I think James Brown should return albums with James AND Brown in the title or album artist from wherever, before it returns albums with either James or Brown anywhere in the metadata. BTW I have “Only show my library” set to “No”. Yes, there is an engineer James Brown who has worked with Placebo, Foo Fighters and Interpol to name a few. Roon links to the one and only Mr James Joseph Brown. 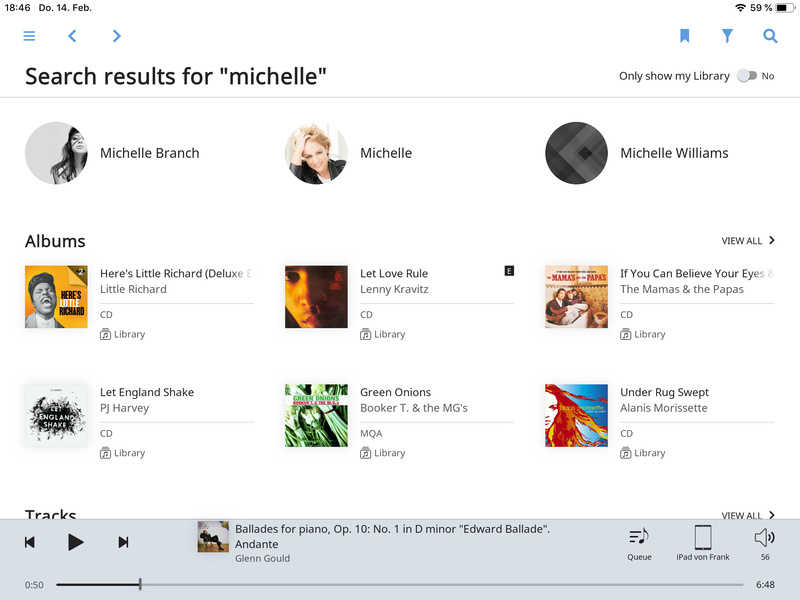 Example: searching for „Michelle“. It‘s an german artist (not my taste of music), the title of an album as well as a track title. 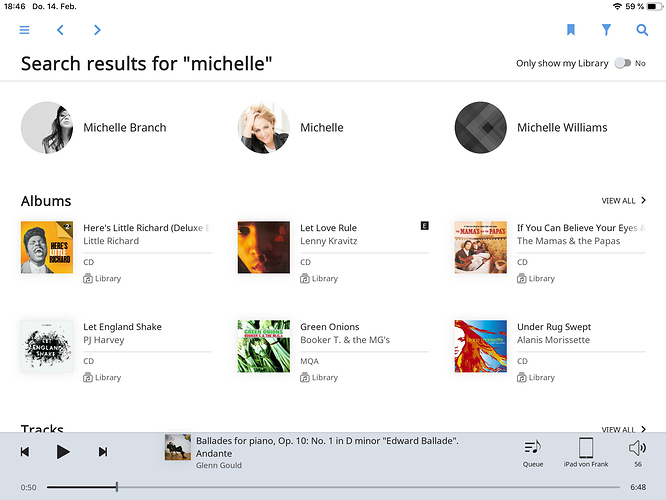 My top result is track Michelle (beatles), because it is in my libary, I find the artist Michelle in section artists. Not in the first place, but she is probably most successful in germany. That‘s how I expect it. 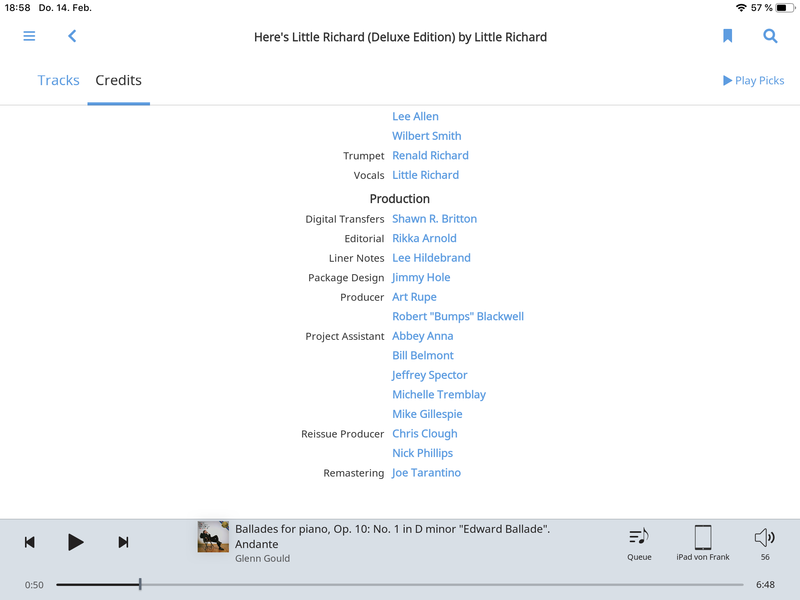 The album of Little Richard is shown because of a project assistant named Michelle Trambley. That‘s may be OK for Discovery, but surely very vew people expect this result when they entered the search term. If I click the top result, which is the artist “James Brown” all I get is (727) James Brown compositions, not albums or even necessarily performances either. That’s a point. Sometimes the artist refers to the composer’s view and the toggle switch between artist and composer is missing. Usually if you have a composition of the person in your libary, but not an album of the artist. I don’t see this as an error of the search algorithm. But yes, it shouldn’t be that way. We’re seeing this too, and we’re investigating. Note that seeing multiple James Browns isn’t a bug in and of itself – Roon is built to support multiple artists with the same name, so there are times when we would expect to return two people with the same name (like Bill Evans vs Bill Evans). We do a lot of work to ensure that every credit links back to the right person, but our metadata updates regularly, and mistakes are possible. I’m looking into whether this is a metadata issue, a search issue, or both – obviously a number of the results in this thread are not right. We’re on it – stand by guys. How do I explain to other less tolerant members of my house that if they want to find James Brown albums they first have to search for James Brown, they won’t get shown any, but then if they click on View All they will get some mixed with other things but then if they filter that lot by James Brown they will get what they wanted in the first place? Even in @tripleCrotchet’s screenshot above (which has some very bad results, clearly), the answer is generally going to be “click the James Brown top result” – or is there James Brown content you’re expecting to find in Roon that you don’t get when you click that link? Thank you again for your reports, we have been able to reproduce this behavior and have addressed this issue in our next Roon release. I would suggest keeping a close eye on our release notes section of Community for when the next release is being published and letting us know if this issue is fixed for you as well afterwards! 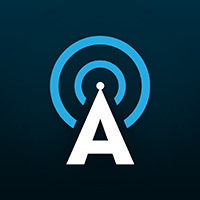 Please give the update a try and let us know how it goes!